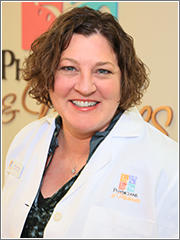 Stacy Stavlund is a Certified Nurse Midwife (CNM) having graduated with a Master’s of Science in Nursing from George Washington University. She earned a Post-Master’s Certificate in Nurse Midwifery from the Eleanor Wade Custer School of Nursing at Shenandoah University. Previously, she received her undergraduate nursing degree with highest honors from North Central Michigan College. She also holds a Bachelor’s degree in Biology from Trinity International University. Stacy brings a depth of OB nursing experience to her role as a midwife. Before following her call to partner with women as a women’s health advocate and as a midwife, she provided care to women of all backgrounds and varying degrees of obstetric need- from low-risk to high-risk. She had one mission when she became a CNM and it was to increase access to midwifery so that more women can benefit from the care that midwives bring. She is a strong believer in the scientific evidence that attests to the impact that full-scope midwifery care has on improving health outcomes across all phases of women’s lives. She has a particular interest in supporting and undergirding the normal physiology and health of pregnancy and birth, as well as preventing primary cesarean delivery. She is dedicated to making space for honest conversations with women of all ages about sexual and reproductive health, contraception, and sexually transmissible infections. And she has a special place in her heart for perimenopausal women and perinatal loss. Stacy lives in Falls Church with her husband and three daughters. She loves coming home at the end of the day, where every night is date night when she and her husband of 24 years can enjoy creating culinary feats of wonder together. In her free time, she enjoys painting, hiking, camping, traveling, learning about new cultures, and her community of faith. She feels overjoyed to have joined P&M where she is living the dream to provide quality midwifery care to women across the lifespan.